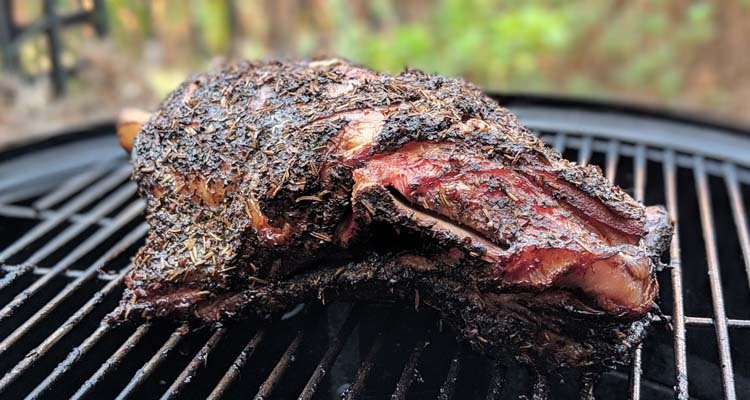 This smoked lamb shoulder recipe is a great way to mix up your typical barbecue. 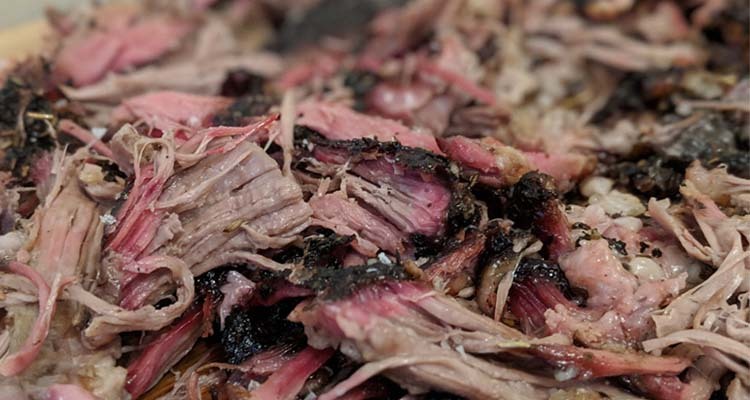 For some reason lamb doesn’t get anywhere near the same amount of love as brisket or ribs. I think that’s a real shame because this fatty and slightly gamey meat makes it perfect for throwing on the smoker. While I think lamb shoulder works best here, a bone-in lamb leg will work almost as well. 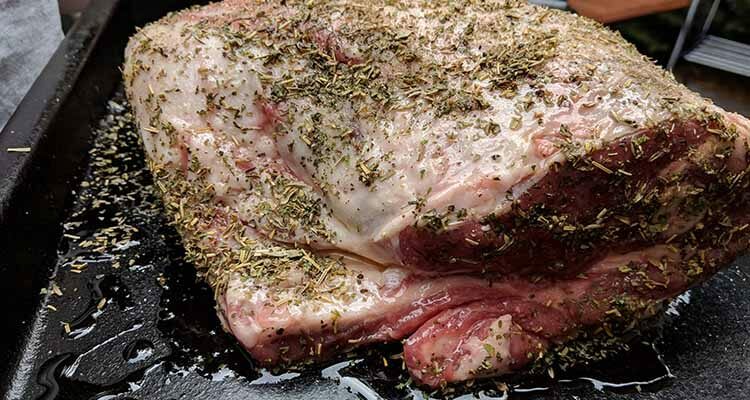 Because of the thick layer of fat on lamb shoulder, you’re going to want to cook hotter than you normally would to help the fat render and the skin caramelize. This makes lamb a particularly forgiving meat to smoke. Perfect for beginners or if you want to focus on the game instead of worrying about your temperatures. I decided to add a Mediterranean twist and served the lamb on warmed pita bread with hummus. 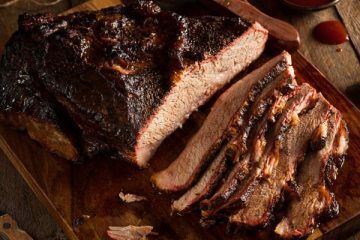 But if you can’t get your hands on that you can’t go wrong serving it on white bread with your favorite barbecue source. 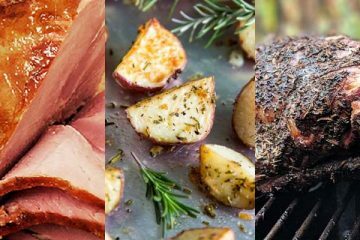 So long as you’ve purchased a good quality lamb shoulder (look for New Zealand or Australian lamb if you can get it) there isn’t a whole lot you need to do to get it ready. I like to add the meat to the smoker while it’s still cool so the first thing you need to do is get your rub ready. I happened to have some leftover herb rub from my Christmas turkey that I thought would go perfectly with the lamb. The original idea for this rub came from the Simon & Garfunkel Spice Blend over on AmazingRibs.com. It went amazing on my Turkey and it works great on lamb as well. Combine all the rub ingredients together in a small bowl and mix well. Don’t worry if you don’t have every single herb mentioned, so long as you have a range of dried herbs it will taste great. Before you apply the rub you will need to apply a binding agent. In this case I used olive oil but any oil or even a few splashes of water or Worchestershire sauce will work just fine. It’s more about helping the rub bind to the meat than adding a lot of flavor. Once the lamb is nice and wet from the oil, apply the rub evenly, making sure to coat the ends as well. A rub shaker works well here or you can use your hands to sprinkle it. It’s hard to overcoat with a chunky rub like this, so just make sure you can still see the meat through the rub. At this point you could add an injection, but there’s really no need. We still want to be able to taste the beautiful lamb flavor so there’s no need to overpower it. 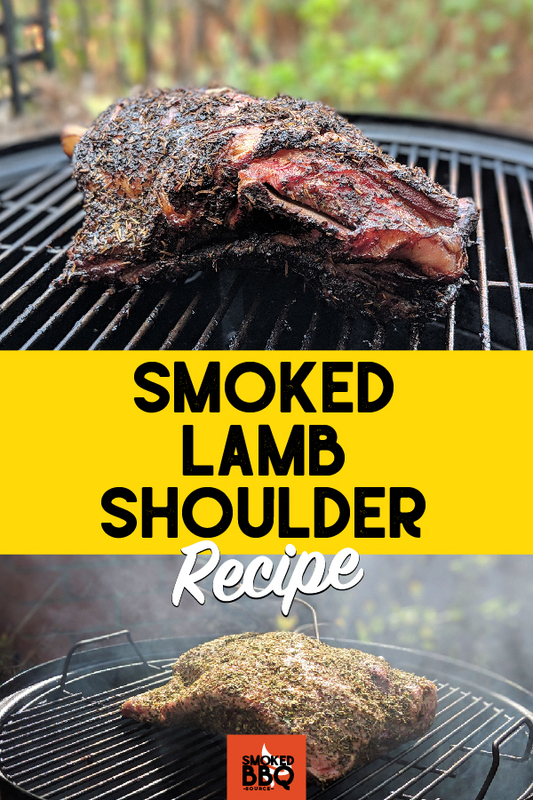 Lamb responds well to hotter temperatures, so you’re going to want to set your smoker up for cooking between 250° – 325°F. You could go lower but I find the hotter temperature does a better job of rendering the thick layer of fat and crisping up the skin. 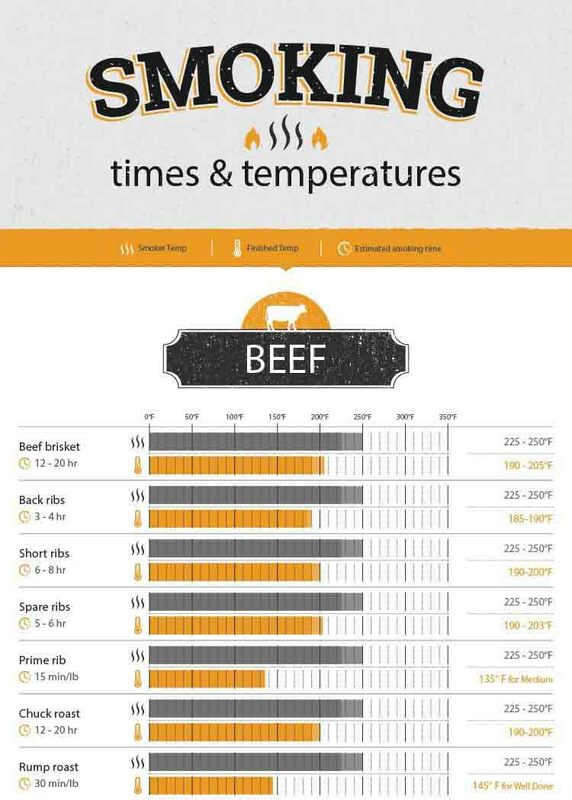 Free Chart: Download a free copy of our smoking times and temperatures chart so you can refer back to it whenever you need. 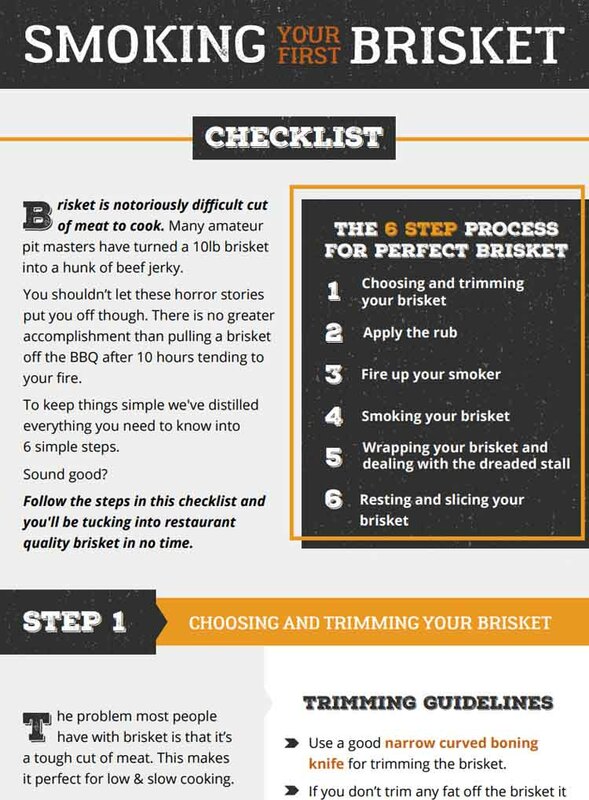 In this case we set the Weber Smokey Mountain up using the minion method. 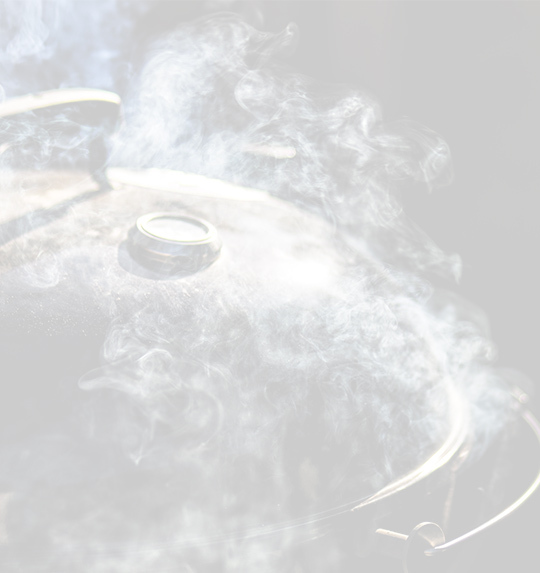 Fill the charcoal ring with unlit briquettes and then use a chimney starter flipped upside down to ignite 15-25 briquettes (use more on a really cold day). 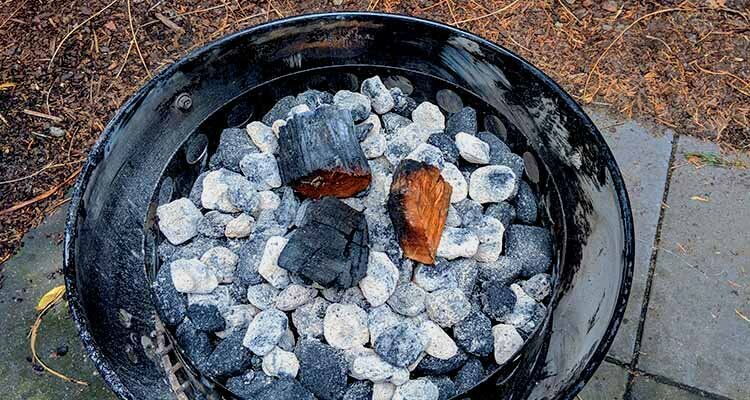 Once those briquettes are ashed over sprinkle them over your unlit coals and then add your smoke wood. We had some partially burnt apple wood chunks leftover, but most smoke woods should work fine. We started off with the water pan half fill, and then removed it for the final hour of the cook to help the temperature get nice and high. During that final period the juice from the lamb will drip directly on to the coals, creating a beautiful smokey aroma and taste. Once the smoker is setup (don’t worry if it’s not exactly up to temperature, it’s time to add the lamb. There isn’t much to do for the next 4 hours except keep an eye on your temperatures. Luckily lamb is very forgiving, and even if the smoker gets up to 350°F there’s no need to worry. 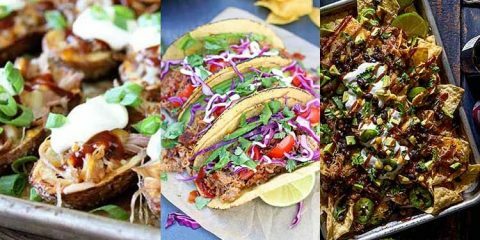 For pulled lamb you want to aim for an internal temperature of between 195° – 203°F. In my case I decided to take it off a little bit earlier around 180°F and serve the lamb sliced. It still tasted super moist at 180°F so this is something you can definitely experiment with. Once you’ve been smoking for an hour or so you can add a few more wood chunks, and that should be enough. 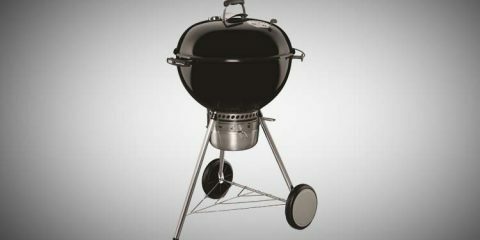 To help monitor the temperature of the smoker and the lamb, I use the Smoke by Thermoworks. In the picture below you can see how the the large LCD display makes it easy to keep track of your temps. I took this photo while the smoker was still coming up to temp, and before I added the meat probe. 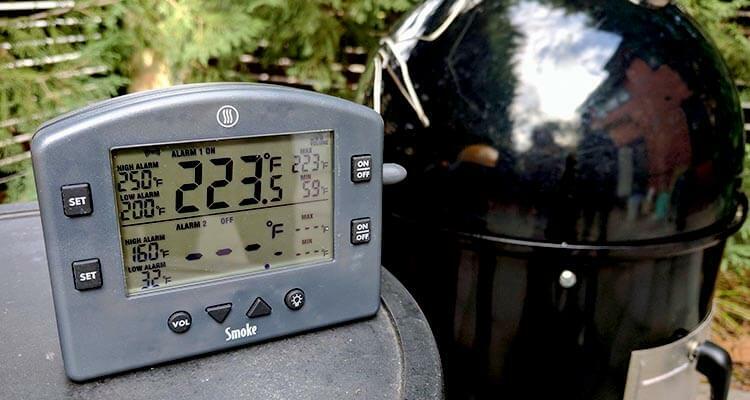 Once the meat is on it’s just a matter of setting your done temps, and a high and low alarm to let you know if your smoker is getting too hot or cold. 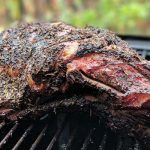 If your lamb is starting to get too dark you could definitely use the Texas Crutch (where you wrap the lamb in foil) after about 4-5 hours, but you definitely don’t need to wrap for this recipe. Once the lamb gets to around 180°F I recommend removing the water pan if you’re using one, and let the smoker get up past 300°F. It can be dangerous to move the water pan so if you’re going to follow this step use extra caution. 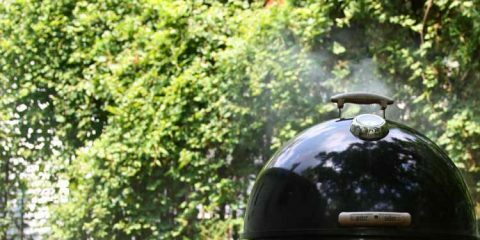 Make sure the area around the smoker is clear, and use grill gloves to carefully remove the top section and take out the water pan. While optional I found that the juices from the lamb dripping on the hot coals created an amazing smokey taste. The extra heat also helped crisp up the lamb skin and made the fat taste amazing. 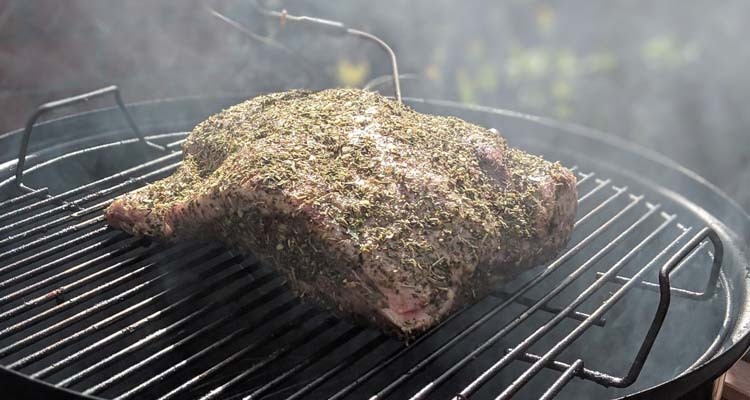 Once your thermometer is reading 180° – 190°F for sliced or 195° – 203°F for pulled take your lamb off the smoker and wrap it in foil so that it can rest for 15 – 20 minutes. Use your best slicing knife to carve the meat off the bone. If you’ve used a charcoal smoker with a good smoke wood you should see a beautiful pink smoke ring. Because I was serving the lamb on small pita breads I diced my lamb quite small and mixed it up to make sure everyone got some pieces with the crisp skin and moist fatty bits. 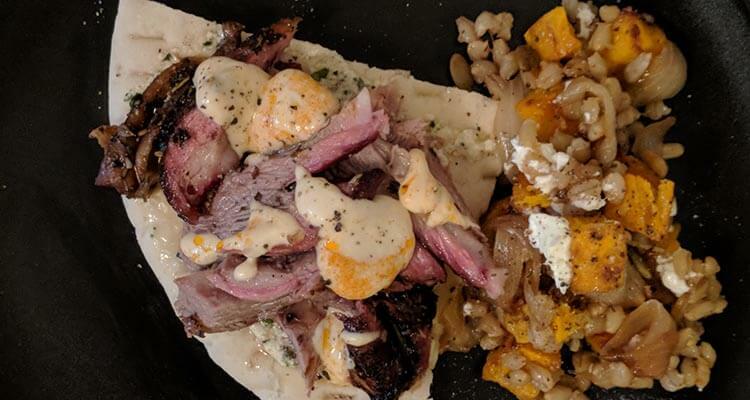 The lamb went amazing on pita bread with hummus and a pumpkin and pearl barley salad, but I reckon it would go just as well on a tortilla, white bread or just with a green salad and potatoes.